Providing you and your animal a relaxed, personalized experience. Do you consider your animal a member of your family? Are you tired of rushed appointments and impersonal care? Would you like your veterinary care to be more tailored to your animal’s specific wants and needs? 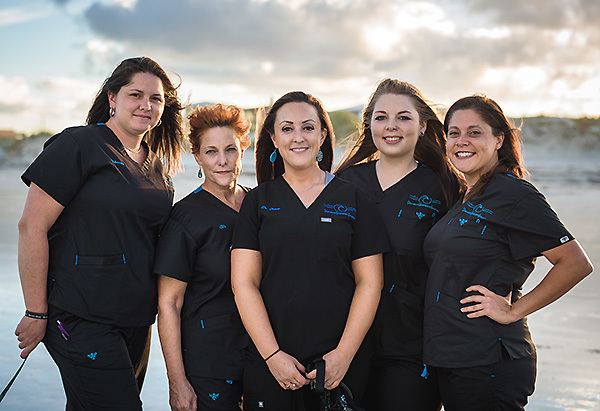 Welcome to Driftwood Veterinary Hospital—where you’ll find highly individualized, medically progressive, boutique style veterinary care—right here in Saint Augustine, Florida. In a world that’s often rushed and hectic, we bring a welcoming, highly personal, family-oriented approach to veterinary care. At Driftwood Veterinary Hospital, we know the unique and wonderful bond you have with your animal is something that cannot be put into words. We honor that relationship by providing progressive medical care to your pet in a low stress, friendly atmosphere that cares about the whole family.